Entertaining As Always! 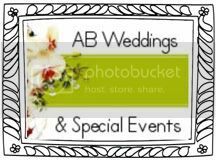 Wedding and Events! Entertaining As Always! 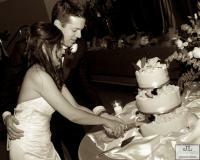 Weddings & Events helps you create one of the most memorable days of your life. Entertaining As Always! Weddings & Events pride themselves on delivering reliability, performance, expert quality and sheer elegance to every event that they plan. All of their weddings are beautiful – down to every accent and accessory. But more than just beautiful, they pride themselves on making every wedding and event unique to your style and personal relationship. Taking care of the details is their passion. They promise to be at your side throughout the entire planning process, shifting every detail to accommodate your style and vision. Let them take the pressure off your mind and body so that you can experience the joy and eliminate the stress. LA Girl Secrets Members book your wedding month management (the corsage) with Entertaining As Always! Wedding & Events and receive a complimentary FACIAL & SKIN consultation (a $250 value) from Gia Laser Asthetic Center in beautiful Claremont California OR book your full service wedding planning with Entertaining As Always! Wedding & Events and receive a complementary FACIAL & SKIN consultation (a $250 value) from Gia Laser Asthetic Center in beautiful Claremont California PLUS our FREE engagement session with PhotoJade Photography!